Tandem paragliding passenger harnesses for tandem paraglider passengers, including adults and children / kids. The Safari Passenger 2 is for both pro and leisure pilots who are looking for a harness that's lightweight, compact and easy to use. Never have the right size harness for your tandem passenger? 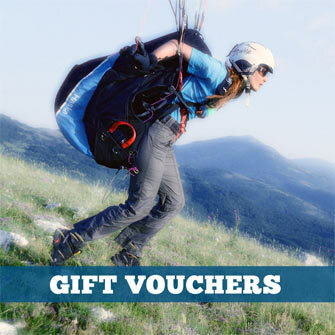 Are your paragliding students struggling in a harness that's too big or too small? K-Flex is THE solution! Kortel Kid allows for children to be flown in tandem. Tandem passenger harness for kids of approx. 8 to 13 year old (approx. 115-160 cm). Child's Paragliding Tandem Passenger Harness, suitable for 3 to 7* years of age. 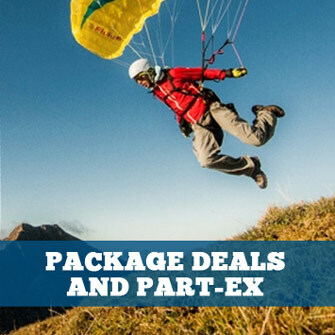 Robust tandem paragliding passenger harness for professional tandem pilots with seat-plate and foam protector. Light Split-leg tandem passenger harness. Airbag dorsal protection. One size only. This harness is particularly adapted to work in perfect synch with the WALIBI LITE. Light, compact split-leg tandem passenger harness with removable mini seatplate.